Ok the secret is out. 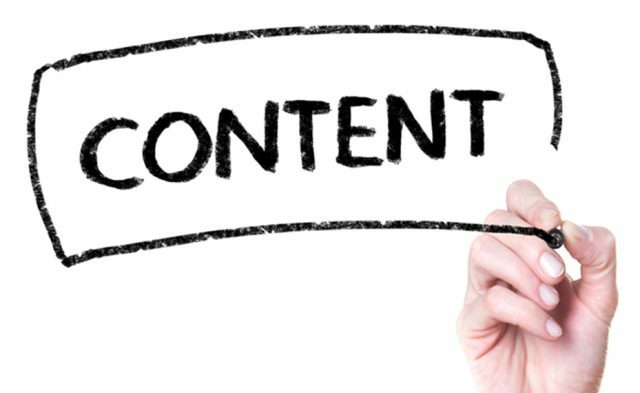 Content marketing drives traffic to your website and generates leads for your business. So your marketing guy says you need to start blogging. But several months have passed and you’ve spent hours writing articles … but traffic isn’t up, your SEO hasn’t improved, and you feel like nobody is even reading your blog. 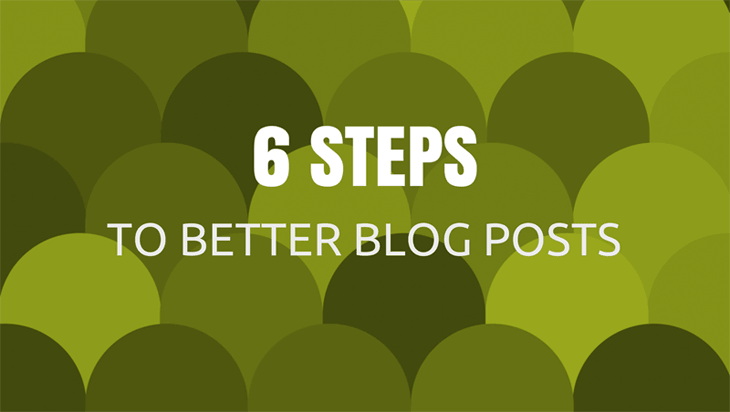 So here are a few simple tips to creating better blog posts that just might turn things around. People want to scan an article quickly to see if it’s worth investing time to read on. Just like a good book is broken up into chapters, headings, etc., your blog posts should offer bite-sized pieces of content that are simple to scan and easy on the eye. You accomplish that by using plenty of section headings, bullet points (where appropriate), and breaking paragraphs up into smaller pieces. Too many blog posts – especially in the ERP and technology space –offer up a main title followed by 2 or 3 HUGE blocks of text. It’s intimidating, hard on the eye, and makes most people want to close the browser and just move on. There’s no hard and fast rule. But in general, the average 400- to 500-word blog post should have 3 to 5 section headings. It’s a good idea to keep paragraphs under 3 or 4 sentences max. Numbered lists (like this post!) work well too. This is related to #1 above regarding readability. It seems pretty simple – but be aware that your tiny little font is scaring people away. They’re staring at a computer screen all day and the last thing they want to do is squint their eyes, adjust the bifocals, and strain to read your 10 point light gray font that fades into the background. Choose a font type that’s easy on the eyes and make it big enough to read without a magnifying glass. The same goes for line and paragraph spacing. Give them a little breathing room –if you’re using WordPress, this might require that you modify paragraph spacing in the style sheet (if you have no clue what that means, check out our web design and WordPress support services. We can help). Images have become so important online. In your blog posts, images break up the content and give your eyes a little rest from all the written words. And on social media, a compelling image can draw people in and encourage them to click through to your blog post. But make sure your images are professional and relevant to the content. Don’t use cheesy clipart or gratuitous images that you forced onto the page. Plus, too many images can get distracting so keep it reasonable. Note: screenshots work well as images too. Especially for you ERP partners that are providing product-related tips and tricks. Want to pull your readers in? Have a conversation. Just like I’m talking to you right now like you’re the only person reading this post. Write in the first person using words like you, your and me. Talk directly to the reader instead of making them feel like they’re listening in on a conversation as a third party. Instead of “XYZ Technology helps companies achieve their goals”, try “we help you achieve your goals” instead. On a related note, another problem in the ERP space is all the techno-jargon and gibberish that’s prevalent on a lot of websites. Things like “customer-facing scalable solutions that are world-class, robust and best of breed.” Huh? It doesn’t make any sense – a meaningless string of million dollar words where $5 words would have been more effective. Write in a conversational tone that’s easy to read and talks directly to your audience. See Also: The Gobbledygook manifesto – words you should delete from your blog posts and website immediately! A business blog is NOT the place to sell your company, your products, or your services. It’s a place to educate, demonstrate your expertise, and build trust and thought-leadership. Again, there are too many ERP blogs that are full of product posts, webcast invitations, and company awards & announcements. Boring! That stuff belongs on your website under products, services, or news. If all you’re doing is using your blog as another platform to pitch your products and services, your whole blogging and content marketing approach is doomed to failure. Some blog posts end abruptly like the author hit a wall or just ran out of stuff to say. Bad move! It’s always a good idea to summarize the main points of the blog post in a closing paragraph. Other than leaving your reader with a nice thought to take away, tests have shown that people tend to read the opening paragraph and then skip straight to the end of the post to read the last paragraph (your conclusion!) and figure out whether it’s worth going back through to read the rest of the article. In some cases, the end of your post might also include a call to action. Download a white paper, request support, learn more about a relevant product or service, etc. This is your opportunity to turn all that blogging effort into potential business. But only after you’ve earned the right to weave in a light sales pitch (don’t over due it) following the helpful content you just provided! Blogging is one of the most powerful tools in the Inbound Marketing arsenal. But to drive more traffic and leads to your business, you have to take the right approach. Just writing great content won’t guarantee a successful blogging strategy. With just a few simple tweaks, you can turn that time and effort into traffic, SEO, and opportunity. Well put. I have heard it all before except for #2. I thought you could look amateurish by overusing fonts and font sizes, but apparently the needle is further to the mix-em-up side than I thought it was. Your examples look fine and remind me of the way “Strunk’s Elements of Style” teaches writing style. Speaking from personal experience Peter, I almost always close the browser/page if I see an article written in small font. It’s just too hard to read – especially on a mobile device where I would have to waste time pinching and zooming just to read the page. It’s just not worth it.